Murray Energy Corp. founder and President Robert E. Murray. 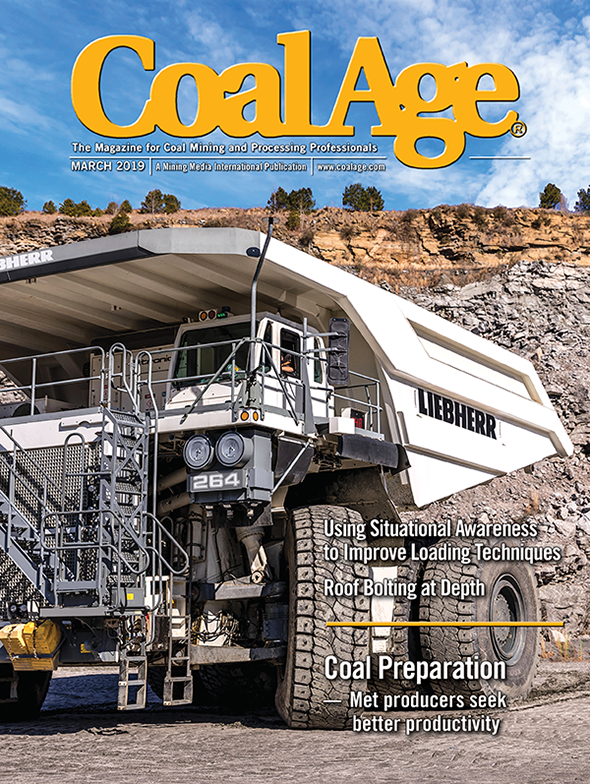 Those seeking a gauge of how coal is doing in the nation’s second-largest producing state need look no further than an annual winter staple, the West Virginia Coal Association’s mining symposium in the state’s capitol city of Charleston, which this year spotlighted safety, production, politics and more. 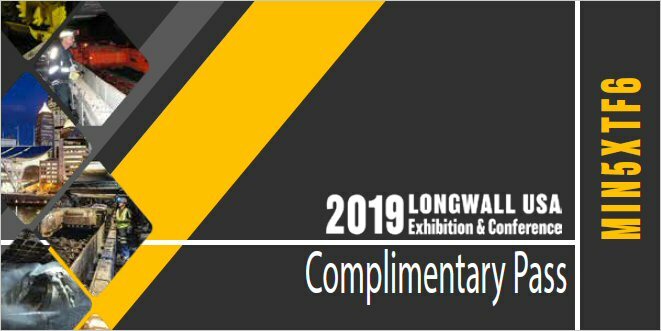 The 41st convening of the well-attended event included 58 presenters and an estimated 700 attendees; among the top attractions to the event were keynote speakers Robert E. Murray, founder and president of Murray Energy, former state Gov. and current state Sen. Joe Manchin, Mine Safety and Health Administration (MSHA) Assistant Secretary for Mine Safety and Health Joseph Main, MSHA Director Kevin Stricklin and others. The outspoken Murray held nothing back in his nearly 30-minute oration from the Charleston Civic Center, his finger pointed squarely at the Obama Administration and what its actions have done to the industry in West Virginia and across the U.S.
Fresh off of his $3.5 billion acquisition of five longwall mines in the state under a deal first inked with CONSOL Energy in late 2013, which increased his payroll to more than 7,000 and will up his annual production from 30 million tons to more than 60 million tons, Murray said more cuts will still be felt — especially in Central Appalachia, where production is already down about 43% from 2008. “I don’t think there is any question we will continue to see decreases in employment in the coal industry in West Virginia as a result of the actions of President Barack Obama, his radical appointees — mostly from the environmental movements — and his political supporters,” he said. The 40-plus-year mining industry veteran has long said that he knows his employees well, and from the top of the venue’s podium Murray looked directly at the audience and pointedly said that this issue was no different, calling it a “human issue” to him. “I know the names of the miners whose jobs…and family livelihoods are being destroyed,” he said. “If they own anything, it’s their homes…when the jobs are eliminated in their communities, there is no one to sell their homes to. These are people who want to work in honor and dignity and they’re being denied that. “These are my employees. This is not the America that I cherish,” he said. He spoke with nothing but positive words for CONSOL Energy, the company from which he just purchased the Loveridge, Shoemaker, Robinson Run, McElroy and Blacksville longwall operations in the northern region of the state. “CONSOL is a wonderful company. I think they’ve done a very good job with their emphasis on safety,” he said. “Our approach has the same emphasis but it’s different. We believe in extensive task training and discipline, more so than additional rules. If you get yourself hurt, you will be disciplined because we don’t want anybody hurt,” Murray said. However, on the other side of the industry’s issues, he again returned to federal regulatory efforts to cut the 2 milligram (mg) dust standard at the face in half to 1 mg, which he responded was not possible, and said that the industry should be “scared to death” for what’s to come. With the export topic one of high interest, and high controversy as of late, attendees to the symposium were anxious for the input of Xcoal Energy and Resources CEO Ernie Thrasher, and as many expected his projections were straightforward and contained. With what could be called more of a cautious optimism, the executive said that the global coal market for both coking and thermal product is still growing, but as is already painfully clear, current market pricing is creating challenges for that growth. 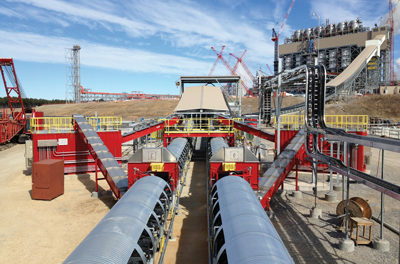 Thrasher noted that, as pricing models evolve and quality requirements for exports change, coal producers will likely become more short-term focused and a market that is currently in oversupply mode with low prices will in turn cause more production cuts by coal operators; along with that, unfortunately, will come reduced investments in new projects. At the same time, those who will survive the market’s rough waters and benefit from it will be those low-cost miners of the nation, he said. Another interesting turn in the coal market, Thrasher said, is a slowing economic growth in China; however, against the projections of many, there has not been a market collapse. Additionally, even with the sluggishness, the country’s economy still significantly outpaces those of India, the European Union and the U.S., and Chinese coal demand in 2012 beat out the rest of the world for the first time — with the trend expected to continue. “Coal, as a low cost and reliable source of energy in these emerging and developing countries, is contributing to economic development and improved living standards for the people in these countries,” Thrasher said. He was careful to stress that, while it looks as if the market has reached its worst and is beginning to build itself back up again, it is important that the industry not overstate its optimism. When the market was not on the lips of the presenters atop the Civic Center stage, the safety of the state’s and nation’s miners was. It is safe to say that, as it typically is, safety was an arterial note throughout the symposium. One of those with safety on his mind was Stricklin, who took the stage on the initial day of the gathering and set the stage for the keynote speaker, Main, who would take the podium the following morning. In his remarks, Stricklin spotlighted the positive downward trend in mining fatalities, but the ultimate goal of zero is still going to take hard work on the part of every member of the mining community. While some newer technology, like communications and tracking, is of great benefit to mining, the advancement of such systems and their implementation must be taken very seriously, he said. He said that specific area of technology can save multiple lives each year, and even if some improvements seem “invisible” they are still being achieved. Part of that road to zero is regulators and operators working in tandem. He credited a drop in violations to miners making improvements in safety (along with a drop in active mine numbers), and noted that mines have gotten better at making strides to correct violations without the agency. “I’m all for you getting ahead of us,” he told the audience, adding that mine management should “put yourself in my shoes” when looking at making contributions themselves for the benefit of their mine’s safety. West Virginia Sen. Joe Manchin. By the time Main took the stage on January 30, those who had convened in Charleston had received a detailed picture of the state of the state’s industry, but the federal official was able to offer his thoughts on a more comprehensive scale using nationwide numbers. Main said that U.S. mine safety has continued on a steady path of improvement, particularly since putting new reforms into place in 2010 following the Upper Big Branch (UBB) mine explosion, and those steps have included a drop in chronic violator mines as well as better overall compliance. “[The] industry achieved the lowest fatality and injury rates in the history of mining in 2011 and again in 2012; that trend continued through fiscal 2013,” he noted in his presentation, adding that the first three quarters of 2013 also contributed to the lowest fatal and injury rates and the fewest number of deaths ever recorded, 33. However, the final quarter of the 2013 calendar year did not follow that trend. A total of 15 miners, six of them in coal, lost their lives in work-related accidents during that period. The impact of that hits even harder when one considers that there were 42 miner fatalities through all of 2013, 20 in coal. MSHA Assistant Secretary for Mine Safety and Health Joseph Main. Looking by the numbers, the news was somber for the West Virginia industry. Of the nine states reporting mining deaths in coal last year, the Appalachian state was tops with six. Illinois saw four deaths, while two each were recorded in Kentucky, Pennsylvania and Wyoming. Alabama, Ohio, Utah and Indiana each had one. “While MSHA and the entire mining community have made a number of improvements and have been moving mine safety in the right direction in the past few years, the increased number of fatalities in 2013 makes it clear that we need to do more to protect our nation’s miners from injury, illness and death,” Main said. He called the past year “a challenging one” for the agency, particularly from an operational standpoint because of the sequestration budget that left it with significant funding cuts. The 16-day government shutdown in October was certainly no help to that situation. 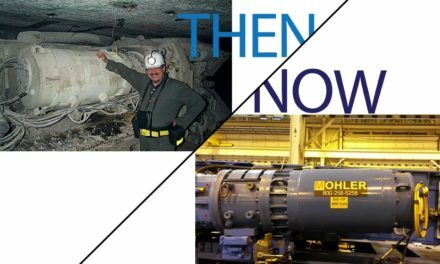 One of the most recent was the agency’s ability to meet the year-end 2013 deadline for addressing about 100 internal review recommendations from a review of MSHA’s actions in the time before the UBB blast in April 2010. Main said that work on outlines for respirable dust and proximity detection systems are moving forward on the regulatory agenda, but could not provide a specific timetable for those listening to his Charleston presentation. Looking at the greater picture, he said MSHA continues to measure the work the industry is doing, and that the greatest measurement of mining’s success is how many miners got to go home at the end of that day. Never shy about his mission to keep coal from the government crosshairs, Robert Murray confirmed at the symposium that Murray Energy has filed suit against the Environmental Protection Agency (EPA) to fight back against what the company has called an “illegal promulgation of senseless and destructive regulations, with absolutely no regard for their job and family destruction” industry-wide. The Clean Air Act, as passed by Congress and signed into law, clearly requires the EPA to consider job losses in its issuance of regulations, the company said, and it has never complied with the law. The coal executive alluded to the suit on several occasions during his presentation, but in an official notice issued a few days earlier demanded that the government agency immediately comply with the act and evaluate the job losses that its “disastrous regulations” had caused. The Ohio-based company noted that about 392 coal-fired electric power facilities have either been closed or are slated for closure nationwide, equating to about 100,000 megawatts of lost capacity. The shift has also cost thousands of coal mining jobs, in Appalachia and elsewhere. Murray said that he was fighting to protect those workers in the notice and lawsuit, those men and women who “only want to earn a living in honor and dignity” via the industry. “Unfortunately, we had no choice but to file this notice and lawsuit,” Murray Energy assistant general counsel and media director Gary Broadbent said in late January when the filing was made. “The Clean Air Act is crystal clear in requiring the EPA to evaluate the negative impact that their regulations will have on jobs, but they have repeatedly been derelict in their duty. We must defend these jobs, families, and America, and force the EPA and President Obama to comply with the law,” Broadbent said. He said in his confirmation announcement, and repeated at the WVCA symposium, that the suit is just one of “several” legal actions that the producer will take to preserve low-cost electricity and protect miners’ livelihoods.